Lottery players want to know whether they won right now! The SymLotto Interactive Voice Response application gives them their answers over the telephone 24/7 — efficiently, reliably, affordably, and through loads of customizable options for you to choose from. 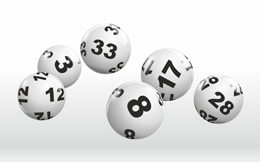 With over 10 years of delivering robust, highly secure technology, Symago is the trusted choice for lottery gaming organizations throughout the U.S.
Ability to answer spikes in phone traffic during drawing times without the necessity to purchase extra phone lines.